I first want to begin my column this week by offering condolences to the Saunders family following the loss of Anne Saunders. Alongside her husband, Bill, Anne founded the happiest place in Rideau-Goulbourn; Saunders Farm. She also spent 33 years with the Carleton Board of Education teaching kindergarten. Whether during the daytime or on evenings and weekends, Anne touched the lives of countless youth. Her legacy and her memory will be remembered fondly by those in Munster and across the city. As we embark on this new year in an ever changing media landscape, communication strategies will need to be tweaked in order for our office to stay connected with you. While you will still be able to find this column in the Stittsville News weekly and the Manotick Messenger every two weeks, there are many more ways to stay connected with our office and what’s happening around Rideau-Goulbourn. We actively post information on our website, via our monthly e-Newsletter and on social media as well. On Thursday, January 19th, the City hosted a public meeting to discuss the proposed development at 5721, 5731 and 5741 Manotick Main Street. The main issue for those in attendance was density. The density matter, however, was determined prior to the application being submitted. During the Manotick Secondary Plan review, the community was heavily involved in looking at how Manotick should grow. This process took place over the course of two years and there was significant input from members of the community. During the review, it was determined that medium density would be the target for several properties in the village including the site in question. This is a debate that occurs throughout our growing communities. Do we intensify our communities or do we expand them? There is a fairly clear consensus in Manotick that village boundary expansion is not an option. Therefore, when we plan for the next 25-50 years, we need to consider where growth can occur and what housing options are desired. Thursday’s meeting did bring forward a productive discussion on a variety of concerns regarding the proposed plan. In the coming weeks, residents still have the opportunity to submit comments to Jeffrey.Ostafichuk@ottawa.ca. Please copy me on those comments so that I can work with staff on them going forward. I have already spoken with the applicant regarding many of those comments and we are working on addressing them. I cannot guarantee that the number of units will change but there were many other concerns that can be worked on. One question that I feel was not adequately addressed at the meeting was around the zoning exception being requested by the applicant. This exception does not increase the density within the project. As stated above, those density figures were set through the Secondary Plan. The exception allows for a wider building footprint to accommodate the fact that this development consists entirely of bungalows. Without the exception, you would be more likely to see a more traditional suburban development of two or three storey towns which would not be in keeping with the community vision. As part of the next steps, we will continue to work on the application based on the comments we have received and I will provide updates through this column. The Manotick Village & Community Association is also involved so they will provide updates on this as well. They send out a weekly e-Newsletter to members, which is another way to stay engaged within the community. Please note that as of February 1st, 2017, the Kars Post Office will no longer operate out of the Kars General Store. As they look for a new home in the village, temporary community mail boxes will be set up. They are currently working with the City on locating those boxes near the Kars Recreation Centre. They will work on this swiftly in order to avoid any disruption in service delivery. If a new location for the post office cannot be located, permanent community mail boxes will need to be installed throughout the community. Please contact me should you have any questions. The first Agri 150 event of the year has now been announced and tickets are currently on sale. The culinary adventure will take place on Saturday, February 11, just prior to Valentine’s Day, at the SunTech GreenHouses near Manotick Village. Renowned chef Marc Lepine is creating the menu for this four-course gourmet experience, which highlights molecular cuisine. The evening begins at 6:00pm with a winter cocktail and outdoor fire and ice entertainment, followed by a small-plate fine dining meal inside the cozy ambiance of the tomato greenhouse. Tickets for Fire & Ice are $100, or $125 with a wine pairings. A round-trip shuttle service, from one of three points of departure, can be added at cost of $12 per person. 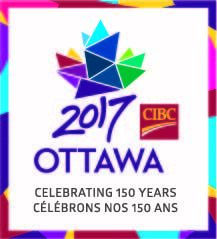 To purchase tickets, visit Ottawa2017.ca. Announced in June, Agri 150 is an Ottawa 2017 program stewarded by Just Food to boost rural tourism during the celebrations of Canada’s 150th birthday in the nation’s capital and for years to come. More than 20 unique outdoor events will take place over the course of the year to allow people to discover Ottawa’s rural communities in all four seasons, and enhance their knowledge and appreciation of rural resources, while enjoying rejuvenating adventures. Manotick’s aptly named Winter Carnival will build on the huge success of last year’s event. It will kick off on Friday night with a skating exhibition, magic show, family skate and bonfire with live music, hot chocolate and Timbits. Saturday morning will feature the Kiwanis pancake breakfast and a children's fun time, with sleigh rides and fire truck tours. The chili cook-off on Saturday afternoon is always a popular event, where you get to be the judge of both the professional and amateur entries! Two events that had successful débuts in 2016 will be repeated in 2017: bingo, put on by ROSSS, and curling demonstrations at the Manotick Curling Centre. A new event for 2017 is a dance on Saturday night to help fund the arena expansion. As a result of adding that, the trivia contest at the Mill Tavern is moving back to its original time of 4:00 to 7:00pm on Sunday. In May of this year, the City of Ottawa was invited to submit projects to the Government of Canada for the new Canada 150 Community Infrastructure Program (CIP 150 Fund). This Federal program supports the rehabilitation, renovation and expansion of existing public infrastructure assets. This program is linked to Canada’s 150th anniversary celebrations in 2017. Subsequent to this invitation, City Council endorsed a list of 23 projects for application under the CIP 150 Fund. The renovation and expansion of the Manotick Arena was on the list. This project was first identified several years ago by community members looking for expanded change rooms and more community meeting/activity space. Through the work of the community, the project was adopted by the City of Ottawa as a future infrastructure project allowing it to be considered for the CIP 150 Fund. This brings us to Friday, July 31st and the announcement at the Manotick Arena. After discussing the project with myself and meeting with community leaders, MP Pierre Poilievre was in town to announce that the Manotick Arena Expansion Project had secured $880,000 to expand and upgrade the facility with the addition of four new accessible dressing rooms and a community hall. I want to thank MP Poilievre as well as representatives from the Osgoode-Rideau Minor Hockey Association, Rural Ottawa South Support Services, Youth of Manotick Association, Manotick Village & Community Association, Manotick Culture, Parks & Recreation Association as well as representatives from the various adult hockey leagues for their work on this collaborative community effort to improve the arena facilities. With this funding, it is expected that construction will begin in 2016. Throughout the public meetings for the Secondary Plan review, concerns were continuously raised regarding traffic issues in the village. You may have also read about some of these issues in recent letters to the editor in this very paper. The challenges we continue to have in addressing these issues are directly related to the City of Ottawa’s warrant system, supported by the Ontario Traffic Manual. In essence, new intersection signage and reduced speed limits need to meet specific criteria prior to implementation. This has been the stumbling block for addressing community concerns. With this in mind, I’d like to suggest hosting a public meeting this fall leading up to the Secondary Plan Review approval. The purpose of this meeting would be to explain the warrant system as it applies to local issues, discuss the local issues in question and seek feedback from the community on a way forward for these various issues. Some of these issues include speed limit reductions on Bankfield Road and Manotick Main Street and the implementation of a Community Safety Zone on Bridge Street and on Long Island Road. We will also look at a variety of examples where warrants were met and why versus some intersections where warrants aren’t met. A perfect example would be the new four way stop at Barsndale Road & Greenbank Road, which did meet warrants, and the intersection of Rideau Valley Drive & Barnsdale Road, where we have received a couple of requests for all way stop controls but that intersection does not meet warrants. We’ll also discuss the years old issue of trucks in the village and some of things we have been working on to help reduce the pressure in the village and spread the traffic load over other nearby bridges. It is my intention to host this meeting jointly with the Manotick Village & Community Association in late September or early October. As soon as I coordinate with City of Ottawa staff on their schedules, I will set a date and let you know. I will endeavour to bring forward any potential resolutions to the Agriculture & Rural Affairs Committee alongside the Secondary Plan review. In the coming weeks, feel free to contact me with issues you would like to discuss and have highlighted at this meeting. I’m not going to pretend that we can solve all issues raised but a healthy discussion of such never hurts. In March of this year, I received a number of reports of power outages in the rural Stittsville and Ashton area. At that time, I spoke with the Chief Operating Officer at Hydro Ottawa, Norm Fraser, and provided an update in this column on what Hydro Ottawa was doing to address the deficiencies. Having committed to providing further updates, I received more information from Hydro Ottawa this week. Since the March 21st power outage, four sets of faulted circuit indicators have been installed to increase the speed in fault finding with an additional eight more to be installed; tree trimming has been scheduled for 2016 and crews are periodically removing any problem trees as they become aware of them; overhead equipment was inspected using infrared radiation scanning with immediate repair occurring with any failures and; arresters were replaced on the main circuit supply section along Flewellyn Road between Dwyer Hill Road and Ashton Station Road. Further, there is now a plan in place to transfer 130 customers from the current supply circuit from Beckwith Station to Alexander Station. This should increase the reliability for these customers as Alexander has historically had higher reliability than Beckwith. This work will be completed later this year. Following last month’s public meeting on the Manotick Secondary Plan review, I’m happy to tell you that all information is now available online at Ottawa.ca/manotickplan. Please have a look and provide your feedback. The Secondary Plan will be coming to Agriculture & Rural Affairs Committee in the fall. After a three year wait, the installation of the new dock at the boat launch near the Manotick Library is imminent. The dock could be installed as soon as this week. I’d like to thank everyone for their patience. This entire issue stems back to 2011 when the City of Ottawa acquired the boat launch property from Parks Canada. There was first some uncertainty as to whether or not the launch would continue but after conducting my own consultation and not finding any viable launch alternatives nearby, I was happy to work with the City’s Rural Affairs Office and the Manotick Village & Community Association to bring a new dock to fruition. This new dock will provide the safety that has been lacking at this location in recent years. Thank you to the MVCA’s Klaus Beltzner and Mel Roberts for being part of the process to bring the dock back to Manotick. In 2011, I began an initiative called “Councillor for Hire”. The idea was to spend time in different environments throughout Rideau-Goulbourn, learn more about our local businesses and their staff/owners, and understand how they interact with the City of Ottawa and any struggles or challenges they may face. Over the last term, I worked at a number of different places including Corner View Farms, Saunders Farm, Rideau Valley Conservation Authority, Manotick Village Butcher and many more. Having taken a break from this during the election, I decided to get back into it recently which led me to my most recent job experience: Millers’ Farm & Market in Manotick. On Friday, July 3rd, I had the pleasure of spending the day at Millers’ Farm on Rideau Valley Drive North. My morning began with a good chat about City-related challenges facing businesses such at Millers’ with owners Ron & Suzie Miller. One of the most beneficial aspects of any Councillor for Hire experience is the one on one discussion with a small business owner within their work environment. If there are any issues to resolve, I gather a better understanding with these kinds of hands on experiences. The majority of my day involved working with customers, stocking fresh produce and picking strawberries and raspberries. There is always plenty of work to be done at Millers’ and their near 300 acre property. Their Garden Centre is fully stocked with annuals, perennials, vegetables and herbs. There is also a variety of trees, evergreens, flowering shrubs and hanging baskets. If that isn’t enough, you can purchase bulk mulch, soil, topsoil and river rock as well. Local deliveries are available and a couple occurred while I was there for the day. They key to Millers’ Farm is their fresh fruits and vegetables. Obviously, they have strawberries and raspberries but there is also currants, tomatoes, asparagus, garlic, rhubarb, squash, carrots, sweet corn and, in the fall, pumpkins. The pumpkin patch is a crowd favourite and gets visited each fall by local schools. I’ve had the pleasure of going on field trips to Millers’ with my three oldest children and their nursery school. If you want to learn more about Millers’ Farm and everything they have to offer, please visit millersfarmandmarket.ca. I’d like to thank Ron & Suzie, and their son Simon, for inviting me to spend the day as their “employee” and to all the staff at the farm for making me feel welcome and for showing me the ropes. If you would be interested in having me spend a day as at your local business, please let me know. The Kars Dog Show is back this weekend and is celebrating their 50th Anniversary. Come by the Kars Fairgrounds at the RA Centre and take in the show. The show runs from Friday, July 17th until Sunday, July 19th. More information is available at karsdogclub.ca. July 18th & 19th, from 10:00am to 5:0pm, members of the Rideau Township Historical Society and the Manotick Horticultural Society will be on site to conduct tours through the gardens of Dickinson House. Come and learn what the pioneers had to rely on for medicines and flavourings. At 2:00 pm on Saturday July 18th, there will be an unveiling of a memorial plaque honouring Coral Lindsay. She was the inspirational founding curator of the collection at Dickinson House, and fittingly, the special exhibit area will be dedicated to her memory. While at the House you are invited to visit “Tableware in times Past “, this season’s special exhibition. As always, admission is free, and donations are welcome to help with the upkeep. This Thursday, February 5th is the date of the first Agriculture & Rural Affairs Committee meeting of this term of Council. It also marks my first meeting as Chair. This meeting will be held at City Hall at 9:30am but one of the agenda items will likely mean that this will be the last ARAC meeting at City Hall. Following the Governance Report that I discussed back in December, we will be discussing meeting locations for future meetings. Essentially, we are looking at moving all meetings to Ben Franklin Place in Centrepointe. This location is geographically central to all wards in the City, thus offering an accessible location for rural residents. It also has ample free parking. This change in location will come into effect in time for the March meeting of ARAC. Also on the agenda for the February 5th ARAC meeting will be the approval of naming the North Gower Bowling Alley after Gerry Lines, commemorating a future Manotick park in memory of Lela Scharf, confirming appointments to the Manotick Business Improvement Area, the Rideau Valley Conservation Authority, the Mississippi Valley Conservation Authority, the South Nation Conservation Authority and the rural panel of the Committee of Adjustment, as well as some minor reports on two municipal drains. In last week’s column, I focused on soliciting feedback on the vacant land use designations within Manotick’s Secondary Plan. However, that was the only item of importance I touched on during the meeting I hosted on Thursday, January 22nd. This week, I’d like to gauge your opinions on heritage designations within Manotick. While we have several buildings designated, such as Dickinson House, Watson’s Mill, Miller’s Oven and about a half dozen other properties within the village core, there are just over 70 properties on the Heritage Reference List. The City of Ottawa’s Heritage Reference List identifies potentially significant buildings that staff can refer to when development applications come forward in order to assess whether or not a building merits further investigation and possible protection or designation. During the 1997 developing of the Manotick Secondary Plan, the 70 or so properties mentioned above were added to the list. While the list might highlight the potential heritage value of a building, it doesn’t do a whole lot to protect a building. Consider that if a demolition permit was sought for the old Manotick Tea Room building, or the building that houses Allure, the permit could be issued and the building torn down without the community having any real say whether it gets torn down, protected or otherwise. That brings me to the Heritage Register. The City of Ottawa’s Heritage Register provides a form of protection that the Reference List lacks. If a property is listed on the Register and a demolition permit is sought, the City has 60 days to decide whether or not the building warrants designation. Those 60 days gives the City time to do their due diligence on designation and for the community to be made aware and take part in the process. It doesn’t mean that the property owner can’t renovate or make changes to the property; it just helps to ensure that the property won’t simply disappear in a matter of hours. In Manotick, the house at the northwest corner of Bridge Street and Manotick Main Street was added to the Register last year. While I don’t believe all 70+ buildings listed on the Heritage Reference List are worthy of protection, I do believe many of them should be at least given that 60-day reprieve so that we don’t lose our history through demolition. My question to you is, would you support shifting some of the properties onto the Heritage Register so that due diligence can be given in the event that a demolition permit is sought? Further, are there any specific properties that you would wish to see on the Heritage Register? In addition to the Allure Spa building and the former Manotick Team Room, Reference List buildings include: 5545 Ann Street (formerly Lindsay & McCaffrey); 5544 Manotick Main Street (The Mill Tavern); 5549 Manotick Main Street (known as Sonny’s Garage); 1136 Tighe Street (My Toy Shop); 1136 Mill Street (Mill Street Florist). For the full list, please refer to the Manotick Community Profile (Pages 17 & 18) at ottawa.ca/manotickplan. A common goal we all share is the protection of our historic communities. Preserving our heritage is key to protecting our villages. I want to thank you for the feedback so far from last week’s column and I look forward to further feedback on this topic. Family Day at Goulbourn Museum will feature an array of free activities for all ages. Families can pose for a fun keepsake in the photo booth, get creative at the craft station, play games, win prizes, and pretend to be pioneers in the Museum’s replica village shop. If weather permits there will also be outdoor games and activities as well as roasting marshmallows around the fire pit. The Family Day festivities take place Monday, February 16th from 10:00am to 3:00pm. All ages are welcome, admission is free and so are the hot chocolate and Tim Bits! The Goulbourn Museum is located at 2064 Huntley Road, just south of Stittsville, at Stanley’s Corners. For more information, visit www.goulbournmuseum.ca or call 613-831-2393 or join Goulbourn Museum on Facebook for regular updates. Students interested in summer employment with the City of Ottawa are encouraged to apply for available positions through ottawa.ca. The 2015 Summer Student Employment Campaign will be open from February 2 to February 27, 2015. This program offers students great opportunity to gain valuable work experience and insight into today’s workforce, discover a career path, showcase skills and enhance academic goals. For more information including eligibility criteria and other requirements, visit ottawa.ca. Once the account is created, all that is required to view, print and pay bills online is your water account number and balance on the last bill, or property tax roll number and access code. Set up an account today by going to ottawa.ca and selecting the My ServiceOttawa button at the top of the web page. At the recent Manotick Secondary Plan meeting, and in conversations leading up to it and following it, I have heard some comments regarding the position that the Secondary Plan review will not look at regional traffic issues, such as Bridge Street as a truck route. I feel I should take a moment and elaborate on why that is the case. First off, it is important to note that a Secondary Plan is defined by Ontario’s Department of Municipal Affairs and Housing as “a land use policy plan for a district or large neighbourhood within a municipality which provides more detailed land use policies and designations than those found in a municipal official plan.” A Secondary Plan is the only real opportunity for a community to look at land use without having a development application before them. As many of you know, this Plan has not been reviewed since amalgamation so I think it is important that we focus firmly on land use, especially in the village core. When it comes to transportation and traffic issues, one thing is already certain: we all know Bridge Street is a problem. It would be pointless to conduct further study into Bridge Street traffic when it has been studied to death in recent years and we won’t know what impact the Strandherd/Armstrong Bridge has until it actually opens. Following that opening, I will continue to push for a City-wide truck route study as the last one was completed nearly 10 years ago. The truck route study is just one of many tools to look at traffic issues. We also have localized studies as well as things like the Greenbank Road Realignment Environment Assessment which look at the transportation network around Manotick. Further, with every phase of the Mahogany development, a local traffic study must be conducted to determine the impacts of the new growth on our roads. Needless to say, we have many different methods of studying traffic issues but only one to study land use. The Manotick Secondary Plan is your opportunity to say what you picture the village core looking like in twenty years. What kind of development do you see occurring in the village? Should we have specific architectural design guidelines so that the historic nature of the core is protected? It is only a matter of time before a developer suggests a building height higher than 3 storeys so where do you envision that type of building being built? With infill development becoming more common and with the future move of the Royal Bank from its current location, it is very important that we take this opportunity and focus specifically on land use. This is a unique opportunity for you to tell a potential developer what they should build rather than the other way around. While the first public meeting is behind us, there are still opportunities to provide your comments. Please visit www.ottawa.ca/manotickplan to learn more about the Secondary Plan review and send any comments to Rose.Kung@ottawa.ca and please copy me on any emails. On Thursday, May 1st, TELUS will be holding a Community Information and Comment Session at the Richmond Library, from 6:00-7:00pm. The purpose is to discuss their proposed 40m communications tower at 6117 Perth Street. The tower would be located on the northern portion of this property, approximately 200m west of Huntley Road. In terms of a visual example, it would look like two towers that are currently behind the Tim Horton’s on Eagleson Road in Kanata South. Industry Canada is responsible for the approval of this antenna system and requires TELUS to review this proposal with nearby public and the local municipality. After reviewing this proposal, the City of Ottawa will provide its position to Industry Canada and TELUS. For more information, you can visit rideaugoulbourn.ca under the Issues page. A Community Information & Comment Session has been scheduled for Tuesday, May 6th from 6:30pm to 9:00pm at NeXT Restaurant, 6400 Hazeldean Road, Stittsville. Waste Management is hosting the meeting and presenting their proposed zoning. City planning staff will be in attendance in order to outline the process for zoning and public input, as well as to listen to comments and questions and to obtain names and contact information from those wishing further information on the application, or to be notified of further action in relation to the file. The proposed use will serve as an extension to the adjacent existing landfill located at 2301 Carp Road. It will allow for the facility to accommodate industrial and commercial waste. The proposed zoning will see an additional use permitted under the existing zonings to include ‘waste processing and transfer facility’ and ‘solid waste disposal facility’. The ultimate use would include a waste disposal facility, new vehicular entrance via Carp Road, a landscape buffer along Carp Road, infiltration basins, stormwater ponds, attendant booth, and weigh area, and public drop-off area. Existing buildings and parking are proposed to be retained. As part of their annual fundraising efforts, the North Gower Cooperative Nursery School is hosting an electronics recycling event on Saturday, April 26th from 8:00am until Noon. Drop off your old electronics at the Alfred Taylor Recreation Centre in North Gower. If you have items you’d like to get rid of but can’t make it on Saturday, let me know and arrangements will be made to pick up the items. The artists of the Manotick Art Association have been busy for the past few months creating new works of art in preparation for their annual Spring Show. Over forty local artists will be displaying works in watercolour, oil, pastel, and acrylic, as well as photography, pottery and glasswork. The show will open Friday evening, May 2 at 6:30pm with a Vernissage that includes music, wine and tasty appetizers from many of Manotick’s fine eateries, this is always a very popular event; and at just $10, tickets will be going quickly. Tickets are available at Manotick Office Pro, Lindsay & McCaffrey in the Manotick Mews or by calling 613-692-6281 or 613-821-3163 or at the door. Entry to the show is free on Saturday and Sunday, May 3 and 4 from 10:30am to 4:30pm. Part of the proceeds from the show will be donated to art programs at local youth associations. We will also be collecting cash donations in support of Manotick Outreach – Food Cupboard. The venue for the Spring Show and Sale is the Manotick Curling Centre, 5519 South River Drive. There is plenty of free parking at the Centre and on the surrounding streets. Just in time for Mother’s Day, the Goulbourn Museum is offering a jewellery workshop for adults that combine nostalgia with a splash of sparkle. Local artist Wendy Southin of Dragonfly Dreamers will lead the workshop. Participants will make a double-sided framed collage necklace using vintage photos and can either choose from a wide selection of images available at the workshop or bring their own small photos that fit within a 1.5 inch square, or 1 x 3 inch space. South Carleton High School is competing in the 4th Annual Show Choir Canada National Championshipfeaturing 13 of Canada’s top youth choirs beginning on Monday, April 21. These high school choirs will be competing for more than $25,000 in prizing and the prestigious title of “Canada’s Show Choir Champion”. Rogers TV will broadcast the event so you can watch along. The competition, taking place at the Toronto Centre for the Arts, showcases the High School Nationals as well as the 3rd Annual Junior/Middle School Invitational. The teams at both events are assessed by a judging panel of four top industry experts from across North America and Europe. South Carleton will be featured in the “Small Size Schools with no Arts Program” category which will air on Friday, April 25th at 7:30pm and Tuesday, April 29th at noon. For more information visit: www.showchoircanada.com. If you have any questions, comments or concerns, please email me at Scott.Moffatt@ottawa.ca or contact me by phone at 613-580-2491.